I’m pretty impressed by these numbers. I think we all remember how bad the penalty kill unit looked at the beginning of the season. Looked like the Pens couldn’t catch a break, couldn’t stop taking penalties, and like we were in for a long year. From Mackey’s tweets, it seems as though they still haven’t quite figured out how to stop taking penalties (second most penalized team in the NHL), but it certainly appears as though patience has paid off, and the penalty-killing unit has figured itself out. As always, I wanted to dig into these stats a little further. I did some reading on how best to evaluate penalty kill units, and I was surprised at what I found. Generally, the first thing I look at when evaluating play is shot attempts, since we have so many more shot attempts than goals. Consequently, when I’m looking at a player’s defensive ability, I like to look at shots against. It stands to reason, then, that shot attempts against would be the best way to measure penalty killing ability. Not so, say Eric Tulsky and JLikens. 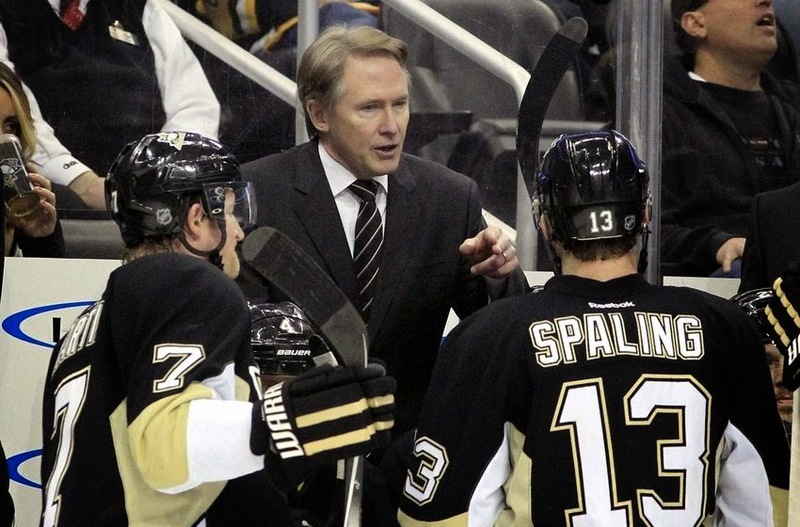 To date, the Pens have played 40 games, just one game shy of the 41-game, halfway mark. 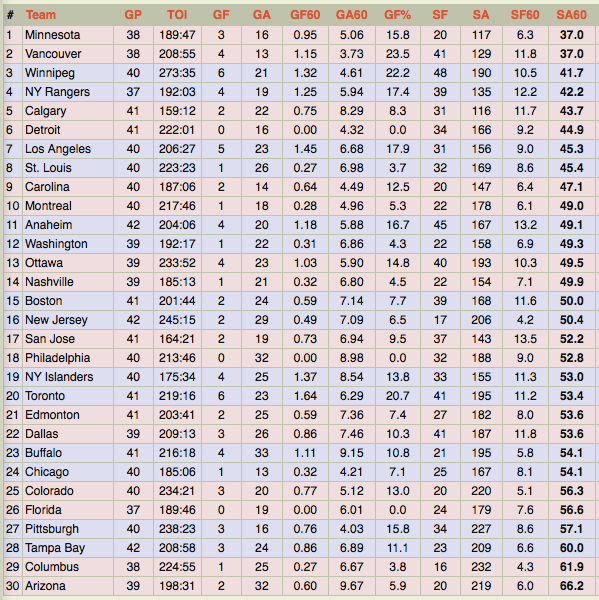 The Pens (87.9%) currently sit only behind the Chicago Blackhawks (89.7%) in PK%. Last season, the Penguins finished fourth on the penalty kill, with a PK% of 85.0%. 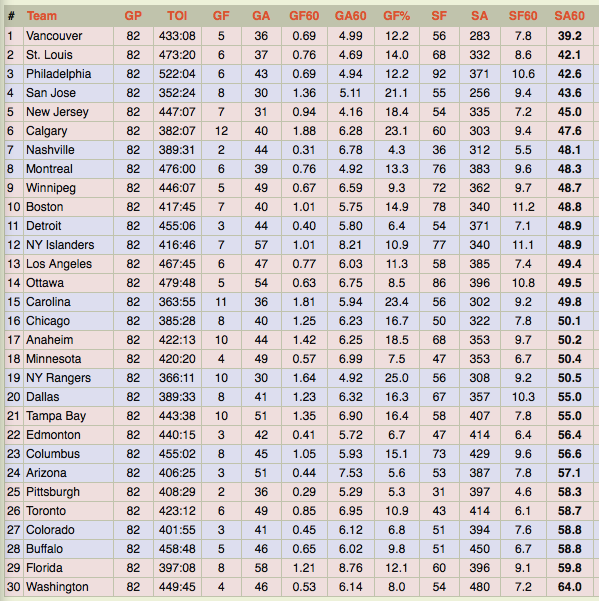 So it should be said that the Pens have had very good penalty killing units for the last two seasons. Still, I’d like to take a look at what’s kept them dominant this year (and last). With Tulsky and JLikens advocating that we look at both shot rate and the skill of the goalie, that’s what we’ll do. As you see in the bolded column, the Penguins are giving up just about the same number of shots on the penalty kill this year as last year. We have a smaller sample for this year, but overall, they gave up 1.2 more shots per 60 last year (58.3) when compared to this year (57.1). Leaving the analysis here, however, would exclude goalie talent, so we’ll also look at Fleury’s performance. Among goalies with at least 20 starts, Marc-Andre Fleury’s .930 SH Sv% is second in the league, behind only Colorado’s Semyon Varlamov (.963). For comparison, Fleury finished 2nd in the league last year, with a .911. First in the league was New Jersey’s Corey Schneider, who posted a .918 shorthanded Sv% on the year (minimum 40 starts). Fleury was excellent last year, when compared to his peers, and he continues to be quite good this season. What’s interesting to me is that although his SH Sv% is much higher this year, Fleury’s position in the league hasn’t changed, which I believe can be attributed to the small sample size. Fleury is still playing dominantly, but the numbers are higher now than they might be through 82 games because we are only halfway through the season. Overall, I don’t think it’s likely that Fleury maintains his .930 SH Sv% (Varlamov even less so), but I think it’s clear that Fleury has been excellent for the Penguins, even as they have defensively been a below-league-average unit in front of him. Note: Martin, Agnew, and others have noted that the Penguins are using a similar penalty killing system to last year, which may explain similarity of shot rates against.